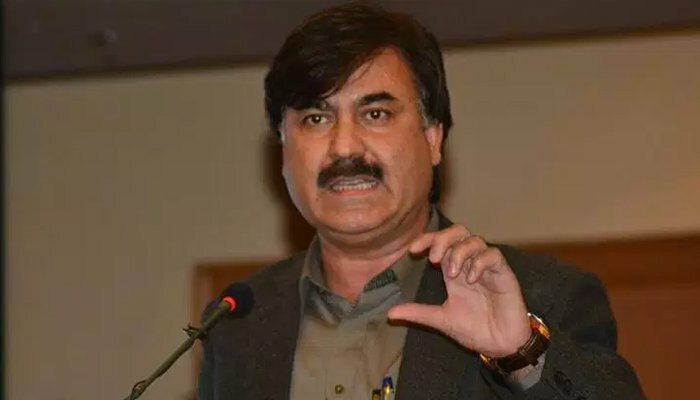 ISLAMABAD: An anti-terrorism court on Tuesday issued a non-bailable arrest warrant for Khyber-Pakhtunkhwa Minister for Information Shaukat Yousafzai for continuously not appearing for hearings of the cases pertaining to attacks on Pakistan Television (PTV) and Parliament House in 2014. The court ordered that Yousafzai be arrested and presented before it. Further, the anti-terrorism court in Islamabad issued non-bailable arrest warrants for 26 Pakistan Tehreek-e-Insaf (PTI) workers. The court also approved requests for exemption from hearings filed by PTI leaders Shah Mehmood Qureshi, Jehangir Tareen, Asad Umar and Shafqat Mehmood. During the next hearing, the court will hear arguments on President Arif Alvi and Prime Minister Imran Khan's acquittal pleas in the cases. The anti-terrorism court is hearing two cases – attack on the state television building and Parliament – against Pakistan Tehreek-e-Insaf (PTI) and Pakistan Awami Tehreek (PAT) leaders. In August 2014, Khan and Tahir-ul-Qadri took to streets in Islamabad against alleged rigging in 2013 general elections and Model Town sit-in. The protest had continued for 104 days. During the sit-in, the protesters beat up SSP Asmatullah Junejo on Constitution Avenue when they attacked the Pakistan Television (PTV) headquarters and the parts of the Parliament.